Mark Friday August 4 in your diary for StreetSmart’s annual fundraising drive, CafeSmart. 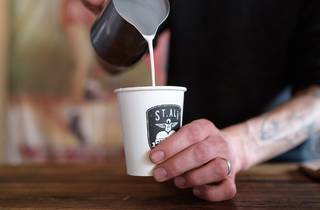 CafeSmart is pretty simple: cafés across the country will donate $1 for every coffee sold to help fund local homeless services. It’s an ingenious way for coffee lovers to give back to their local neighbourhood by doing what they do everyday, anyway. The key message for this year’s campaign is #helpyourhood. Donations for this year’s funding drive will go towards projects in the area they were raised. Alongside the roasters, café owners, stall and patrons, CafeSmart are looking to smash last year’s total of $160,523 on Friday August 4. 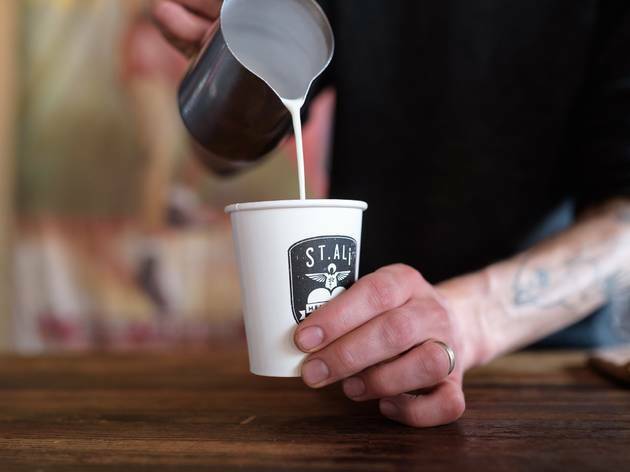 Participating cafés include city faves Higher Ground, Rustica Canteen, Brother Baba Budan, northside’s Stagger Lee’s, Wide Open Road, southside’s Tall Timber, St Ali and heaps more. See the full list of participating cafés here. Not a coffee drinker? You can support CafeSmart by donating directly via their website. Since its beginning in 2003, StreetSmart, who run the CafeSmart campaign, has raised more than $4.45 million for Australia’s homeless population through more than 1,414 projects and the 500+ grassroots charities it supports nationwide. ICYMI burger joint Easey's made a weird cheeseburger soup for charity.